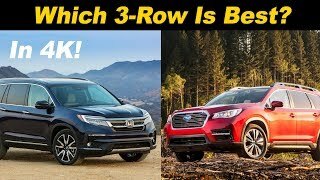 In this in-depth comparison, we're putting the all-new 2019 Subaru Ascent Touring vs. the 2018 Honda Pilot Elite, its biggest rival. 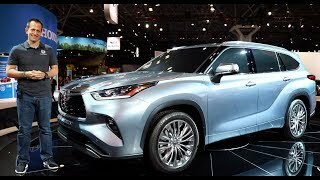 These two three-rows are fully LOADED trims, but most of the information will also apply to the lower trim levels. 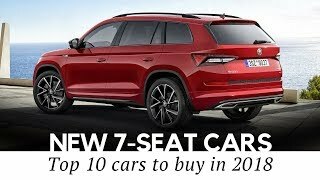 We will look at many categories like interior comfort and features, exterior features and design, third rows, interior ergonomics, technology (infotainment), rear seat comfort, tow ratings, safety ratings, powertrain info and much more. 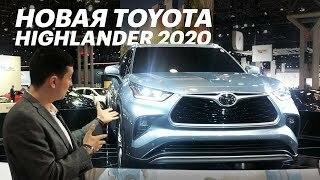 "Sampling the Latest Automotive Delicacies!" People that say Honda is garbage or Subaru is garbage is very misleading for everyone out there. 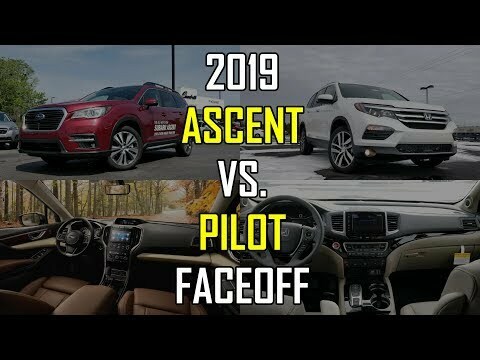 Both are great brands and the ascent and pilot are overall great suvs. The fact that if you haven’t ever driven either one or have ever owned either brand, you have no way of saying anything until you do. So keep your comments to yourself. 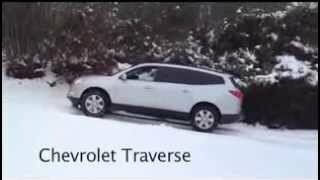 As an actual Subaru owner, I will say they are great vehicles. The Pilot has more hp but if you live in a state with some elevation like Colorado the turbo-4 will be a large advantage. The turbo will still compress the thinner air and maintain it's horsepower better as you climb mountain passes or you live at some elevation. I would give them a draw and depending on where you live either could have an advantage. When looking at fuel capacity there is a thing in medicine and statistics called, "not statistically significant" which would apply here. 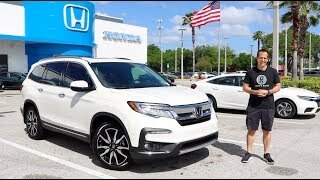 I doubt there is one person in America that would pick the Honda over the Ascent for .2 gallons. The Subaru is already having issues with the transmission. Dealers are replacing them and it’s know issue. Giving the power win to Honda for having more HP despite having less torque is a huge mistake. More HP, less torque = higher top speed, slower acceleration. The drivers of these cars would certainly not have their foot pinned to the floor to reach top speed. IMO, Subaru gets the +. That Subaru is ok but not better than the pilot in my perspective. Couldn’t hardly is a double negative, and it’s neither comes not come since neither is a singular pronoun in this case. Car Confections, it’s easy to be a critic, and I apologize. 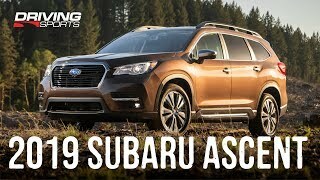 any off road tests in mud for the subaru ascent? Good luck towing 5000 pounds in high winds or at high speeds with that rubber band transmission. 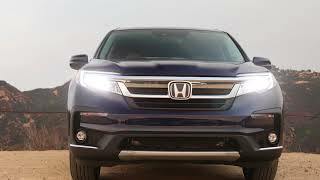 I will take the proven and powerful 3.5 v6 and 9 speed in the Pilot. Everything else is essentially a wash. 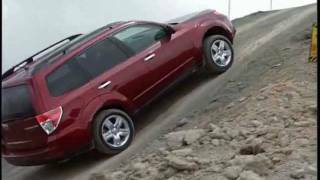 I would never ever buy any vehicle with a CVT transmission. The Ascent has remote start and climate controls, seat heat etc through your Cell phone, not just a line of sight fob. It is subscription based though 375 for 7 years which also includes car location in Google maps. Love my Honda Pilot touring has free hand tailgate access. Third row has bigger room. 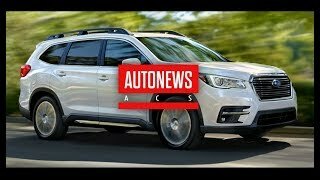 Subaru has affordable price but Honda is reliable and better engine. The Subaru will maintain engine power at higher elevations since it's turbocharged. Higher elevations means less air density hence less oxygen available for the fuel combustion inside the engine. Force inductions system like a turbocharger rectifies this issue. Why do they put cup holders in car? to put cups in them. 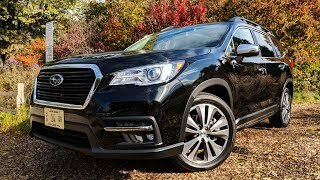 I just bought the Ascent Touring model. We traded in a Honda Crosstour. The Crosstour was nice for its first 50Kmi. But it went down hill sharply after that. We kept the Honda til it had 100,000. It was on its way for a second major repair for the front axles. Brakes always sucked. 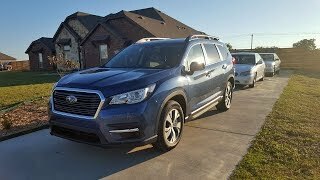 We have only had one day with the new Ascent, but its our second Subaru. I drive a 2018 Legacy as my work car. The Eyesight cruise control was the selling feature that I bought the car for. Drive into the city daily. The Eye sight operates in stop and go traffic. I only have to steer the car. Gas and braking is all done by the car. The system works wonderfully. Takes all the stress out of bumper to bumper stop and go traffic. Ive owned the Legacy for just 1 yr. put a whopping 40K miles on it. The car just continues to impress me. Never in a million years would I think I would own a Subaru. Im a GM and Dodge guy my whole life. Tried Honda for the last two cars. A civic and a CrossTour. Ill never buy another Honda again. Their reliability reputation didn't hold true for my two cars. Neither did GM. I still own my Dodge Ram and love it. 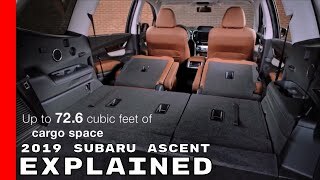 Now for the Ascent, we love the interior and updated electronics. Fit and Finish is top of the line. My wife and I both like the styling. Its beautiful inside and out. 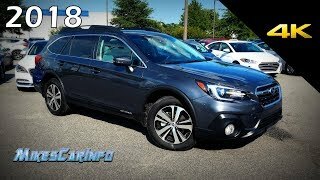 Only think I am not happy about is the Financing % Subaru offers. Thanks for a great review. 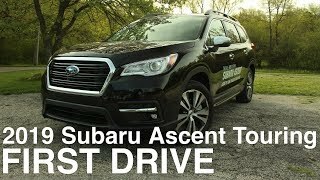 My wife and I are going to look at the Ascent tomorrow. 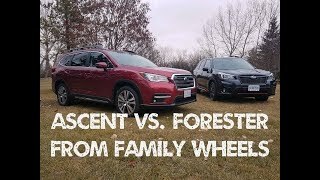 What I'd like to see is a comparison of their AWD performance. 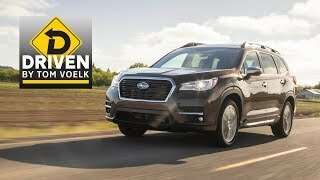 Subaru's AWD is supposed to be the best, but I've seen some reviews where the Pilot's AWD is pretty good too. The technology isn't all that new any more, so it'd be interesting to know if Subaru still has a commanding lead or if others have caught up. 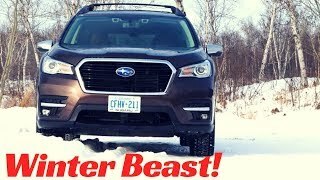 Subaru awd is actually the worst! 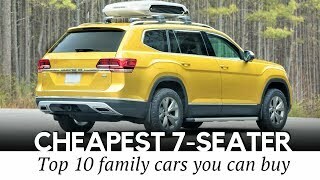 What about abilities to tow a small camper?